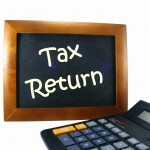 All tax returns must supply an Australian bank account number to the ATO if a refund is expected. Refunds will now be processed by Electronic funds transfer (EFT) which is the fastest, most-secure way for clients to receive refunds. This means you will get your refund much faster if you provide your bank account details. If you normally have your refund paid directly into the tax agents trust account, the fee deducted, and the refund balance then paid into your bank account this will continue as normal.